We open Mathleague registration for those who want to register and to take part in this math contest. 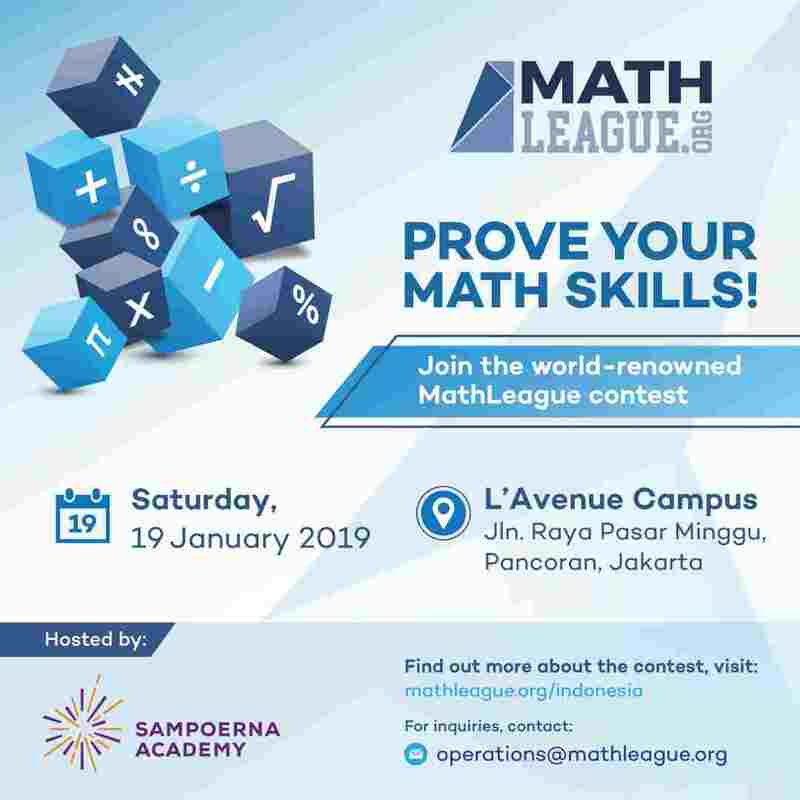 The competition will be held on Sampoerna Academy Jakarta Campus, on Saturday, 19 January 2019. We are looking forward to your participation.